Unless the project hits any roadblocks, Mozilla expects OdinMonkey to ship with the stable version of Firefox 22 in June. You can find all the gory technical details about how this works here and in this earlier post by Axel Rauschmayer. Mozilla will also focus on this during its sessions at the Game Developer Conference in San Francisco next week. 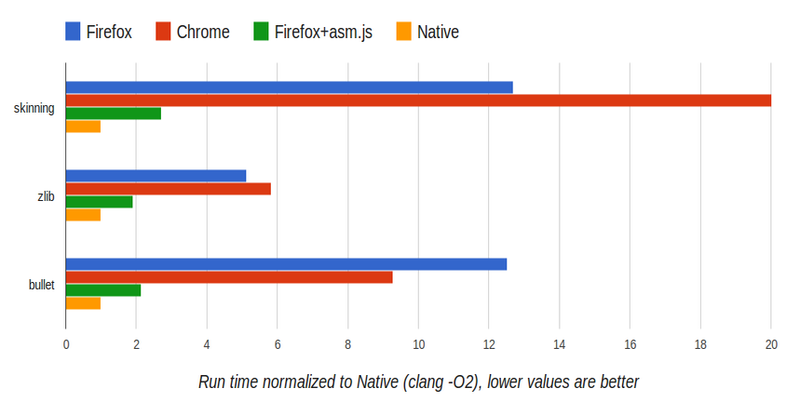 From a users perspective, this means that you could soon see significantly better and complex games in your browser (and most game developers work with C or C++ anyway, so this is a natural fit for them) as well as generally faster web apps, assuming developers start adapting asm.js. If you want to see what a difference OdinMonkey can make, try the BananaBench benchmark or this Emscripten-compiled falling boxes demo on Firefox Nightly. In my own tests, BananaBench ran about 3x faster using the Nightly. For now, Mozilla has only enabled this feature on desktop Windows and Linux, but the organization says it will arrive for desktop OSX and the mobile version of Firefox on ARM soon.